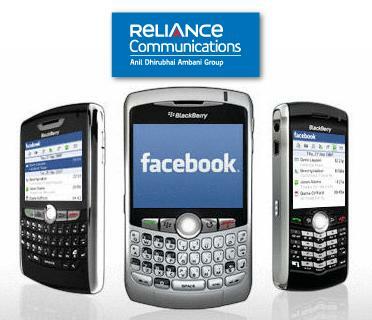 Reliance Communications today announced that it is now offering their customers free mobile browsing on the new 0.facebook.com site. 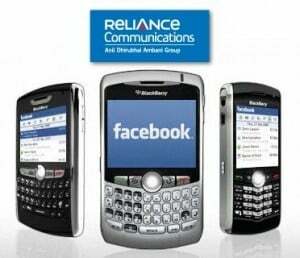 By sponsoring 0.facebook.com Reliance Communications is enabling their customers to stay connected through Facebook with their friends and family from any mobile Web browser without incurring any data charges. Facebook’s 0.facebook.com site is optimized for speed – it is a new faster, lightweight version of Facebook’s mobile site m.facebook.com. The site does not have graphics or photos and 0.facebook.com’s pages have been designed for performance on Reliance Communications network. Photos posted on Facebook are only one click away from 0.facebook.com. To view a photo a person only needs to click on a link to the photo and they will be prompted that they are leaving 0.facebook.com. Standard data charges will apply when a person leaves 0.facebook.com to view photos.“Facebook is a great social utility connecting people with their close network of friends and others. Indians have already embraced Facebook in a big way to keep up with friends, share photos and links and videos. We’re extremely delighted to announce that thanks to our collaboration with Facebook, millions of our subscribers will now be able to access Facebook for free through 0.facebook.com. We are happy to announce this offer to all of our GSM/RTL subscribers.” said Mr. Anil Pande, Head – VAS, Reliance Communications. “Reliance Communications has always endeavoured to offer more value and benefits of the latest technological advances to our customers at every opportunity.With this latest Facebook tool, we hope they will enjoy all the benefits of a more social, open world,” he added. Reliance Communications is offering free access (no mobile Internet data charges) to the 0.facebook.com service to its subscribers for at least one full year. The length of the offer is at the discretion of the mobile operator.